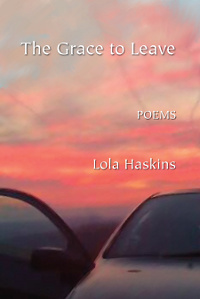 The Grace to Leave, by Lola Haskins, Anhinga Press, Tallahassee, Florida, 2012, 80 pages, $17.00 paperback, www.anhinga.org. When that noted English linguist, Professor 'Enry 'Iggins, exclaimed, "Why can't a woman be more like a man," he was asking a question which even now seems unresolved. Contemporary feminists, after forty years of struggle between Mensheviks, their focus on equal pay and equal rights, and Bolsheviks, who want to completely reconceive public and private life, still have not achieved a consensus. A recent roundtable of "Poetesses" on the Boston Review Web site illustrates the terms of the ongoing discussion. On the one hand, the poet Lisa Russ Spaar turns to Adrienne Rich for inspiration: "Women are even now thinking in ways which traditional intellection denies, decries, or is unable to grasp." Russ identifies this specifically female "intellection" as thinking and writing through the body. At the other end of the spectrum is Daisy Fried who says, "I realize there's theory about female ways of thinking and male ways of thinking, female language and male language. If they're true—I'm skeptical—I'm politically opposed to acting as if they're true." Somewhere in between is Aracelis Grimay, who wants "to write into the silences" that surround women's lives and work. 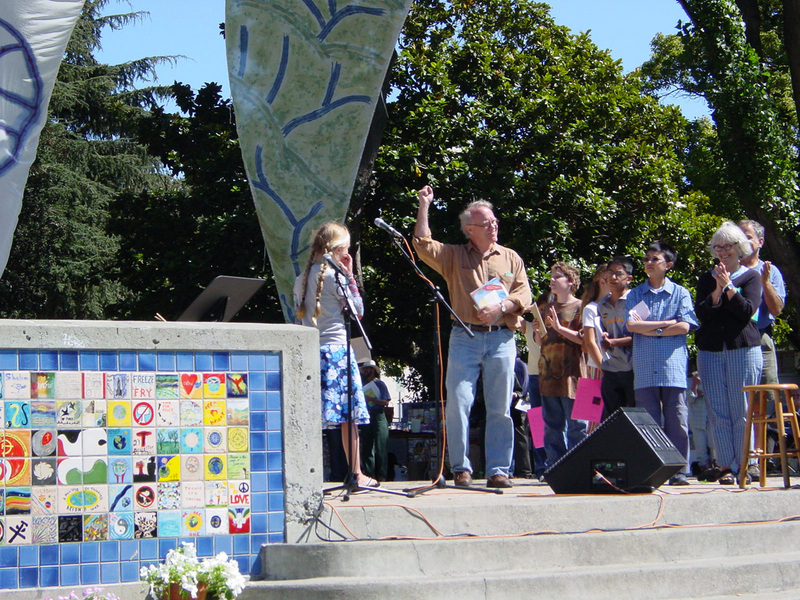 Lola Haskins, the author of ten books of poetry, is also probably somewhere in the middle. In her new book, The Grace to Leave, she writes a series of odes to body parts. "Brows," "Nostrils," and "Capillaries" are just a few of the poems in the book's first section, "Body English." Is this what Rich had in mind? Or is this simply a group of poems in honor of the humble and neglected, not unlike Neruda's Odes to Common Things. More important ultimately than their provenance is the charm and vividness wrought by these poems. Individual images are dazzling. "Rain pours off the eaves The house of my eyes is safe," she tells us in "Brows." And in "The Considerations of My Teeth" she notes that "My teeth nestle around the edges of their cave like campers waiting for / a bonfire." "Capillaries" captures the wonders of bodily experience with lines such as: "I love how…they carry messages like tubes in banks, swishing up and out of sight." Haskins closes this section with two longer poems about her home in northern England. In its evocation of place and carefully archaic diction, "The Return," for instance, reminds us of those restless, eighteenth-century wanderers, Wordsworth and Coleridge, Clare and Burns, their active engagement with the landscape and animals. The structure of the poem, in fact, mimics, on a reduced scale, "Tintern Abbey." The tone of the first section is often exhilarating, but just as often it's haunted and sad. Wearing a body is not to be undertaken lightly. In "Of the True Ankle Joint" Haskins exhorts a lover: "[C]onsider fine china: / One hairline, almost invisible, fracture, / and the tea will seep unstoppably into your hand." A similar admonition is addressed to her daughter in "Ode for the Otoliths": "Oh my daughter, never…imagine anything will always be there. Not me, not flowers, not stars." Section 2, "The Lake," elaborates on this theme with a series of meditations on death. Death assumes various guises, the sea, a hawk, La Belle Dame sans Merci, even Leonard Bernstein. All the things that are supposed to console us, even love and art, are contaminated by death. Guiltily the poet admits that she has sometimes chosen art over life; she tells her lover "I think of how easily / I've betrayed you, over and again for poetry," a choice made not with Yeats's stoic probity but with "her head in her wet hands." (page 30) Everywhere we turn, she seems to say, we are faced with our own insatiable longing, an emblem for which she finds in bats which "circle and dive over the / lake like handkerchiefs, so hungry they are." (page 39) They are creatures of their own hunger, made for catching tears and nothing more. Similar in its tone of dismay is "A Partial Roll Call," whose first twelve lines list the first names of soldiers killed in Iraq and which ends with the imprecation "Jesus Jesus." Anger is also present: "The lords of the year come up the river / waving like homecoming queens." The image is part Chinese, part American, all fury. know their next pond. Not us. we do not have the grace to leave. Haskins has been writing poetry for thirty years. Her poems are personal, and yet not self-dramatizing. She approaches life with the discretion of a practiced observer, offering us surprise and occasional dismay, but also wonder at its rich, irreducible variety. Lee Rossi is the author of three poetry collections: Wheelchair Samurai, Ghost Diary, and Beyond Rescue. 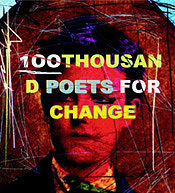 His poems have appeared in numerous anthologies and journals, including The Harvard Review, Poetry Northwest, The North American Review, Main Street Rag, The Spoon River Poetry Review, The Sun, Poetry East, and Nimrod. He is a staff reviewer and interviewer for Pedestal, based in North Carolina, and lives in the San Francisco Bay Area.